Brain waves tell us their own story. 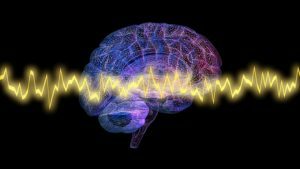 Neurofeedback uses brain waves to better understand how to improve your emotional or physical health. How much do you know about your brain? This remarkable organ, 75% water, and one of the fattiest parts of our bodies, happens to also control our emotions, attitude, and instinctual responses. Click here to find out more about the brain. Learning about the way our brains work has opened up incredibly innovative and effective pathways to improving our day-to-day lives. Neurofeedback is a form of biofeedback that helps us utilize brainwaves to interact with, and restructure, the brain. Curious to know more about how it works? Or, continue reading for some fun facts about neurofeedback that you probably haven’t heard yet. Neurofeedback was first developed in the late 1950’s by Dr. Joe Kamiya (University of Chicago) and Dr. Barry Sterman (UCLA). Kaniya was the first to use EEG neurofeedback training with a simple reward system that taught people to alter their brain activity. Sterman, working with cats, taught them to increase their sensorimotor rhythm (brain waves). They received a food pellet every time they got it right, and quickly learned how to control their own brain waves to get treats. Sterman’s cats also helped NASA develop training for astronauts. Sterman found that the cats he had trained were immune to the toxic fumes in lunar lander fuel. The training made their brains stronger and ultra-stable. They were able to withstand the fumes. Today NASA is still training their astronauts to control their sensorimotor rhythm with biofeedback. Over the last decade, our understanding of the brain has changed completely and neuroplasticity (the brain’s ability to change) over the lifetime is ‘now universally accepted. Despite the fact above, most medical practitioners do not integrate neurofeedback into their treatment methods. Neurofeedback is used successfully to treat depression, anxiety, insomnia, chronic migraines, and ADHD in children and adults. Most recently it has been shown to be helpful in treating addiction and helps in improvement of abstinence rates among recovered addicts. Curious about giving neurofeedback a try? You can get in touch with me to find out more about how neurofeedback can help you deal with issues such as anxiety, depression, or ADHD. I know that reaching out for help requires strength and bravery and I respect your decision to try. If you live in Los Angelos, California, or in surrounding areas, give me a call or use the contact form.